I Think one of my funniest places for a yoga session was on the platform of Basingstoke Train station. I think second runner up is the ferry terminal in Le Harve France. Whenever you have time on your hands to think….. Do some yoga, it helps! 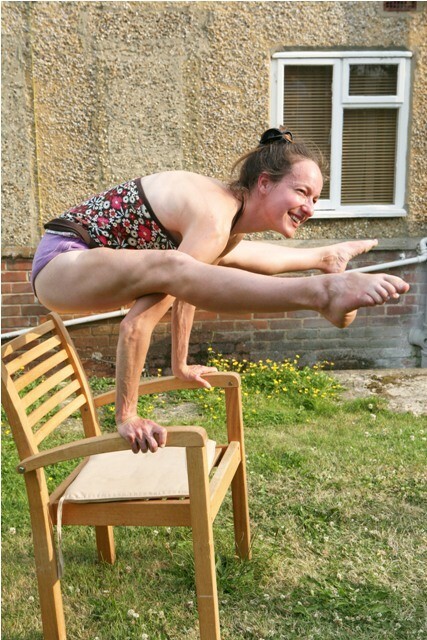 Yoga does not have to be confined to the mat and can be done in various places with different props, like a chair for instance. Yoga can even be done in sun or snow. It might be cold but it is what’s coming from within that is able to help you on the outside. Nature is our friend not our enemy. Embrace this and enjoy the raindrops on your nose.